Daphne Moritz joined the firm in 2016 and is of counsel to the firm. 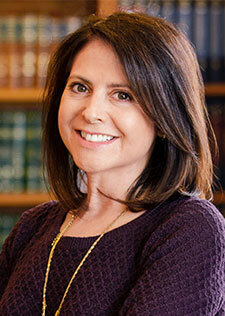 Daphne practices in all areas of estate planning and administration. Daphne also focuses her practice on asset protection planning, addressing elders’ concerns, and helping families with family members who have special needs. Daphne works with entrepreneurs to form their companies, and with small business owners and farmers in their succession planning. She is dedicated to helping clients protect their assets, address health care needs, maintain their independence and reduce their taxes. She is licensed to practice in Vermont and New Hampshire state and federal courts. Daphne is member of the Thompson Senior Center board in Woodstock, Vermont, and on the board of directors of the New Hampshire/Vermont Council of Charitable Gift Planners. Daphne is the past president of the Vermont Chapter of the National Academy of Elder Law Attorneys (NAELA), has been the Executive Editor of NAELA News, a national industry publication, and is the author of Ethical Considerations in Handling an Estate Plan and Engagement of A Practical Guide to Estate Planning in Vermont. She is former chair of the Hanover [NH] Area Chamber of Commerce. Daphne has a background which includes private and public practice. She spent many years in the family court as a child support attorney, and served as an acting magistrate. In 2004 Daphne became executive director of the Vermont Child Care Industry and Careers Council, an innovative nonprofit organization that provides early childhood educators professional development opportunities. Prior to joining Sheehey, Daphne was a partner at Melendy Moritz PLLC with concentrations in estate planning, special needs planning and elder law.